Or Read All the Detail Below this Video. In a 12 week Double-blind published study completed at the University of Tampa and published in Nutrition and Metabolism, oral ATP supplementation was proven to have a DRAMATIC impact on strength, power output, lean muscle building, and the negative impacts of over-training. 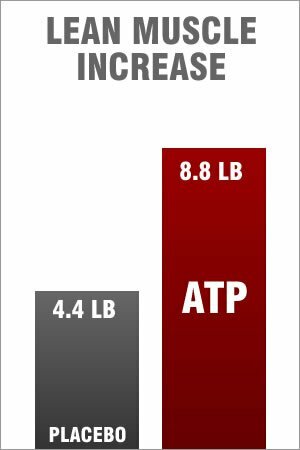 Oral ATP increased Lean Muscle 2X MORE EFFECTIVELY than the placebo. Oral ATP increased Squat 3.15X MORE EFFECTIVELY than the placebo. 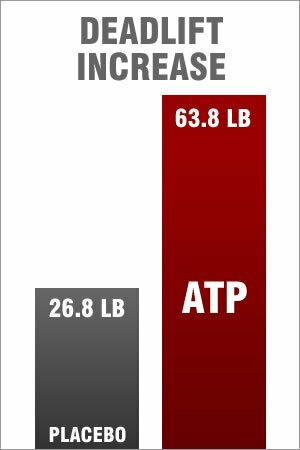 Oral ATP increased Bench Press 1.7X MORE EFFECTIVELY than the placebo. Oral ATP increased Deadlift 2.4X MORE EFFECTIVELY than the placebo. 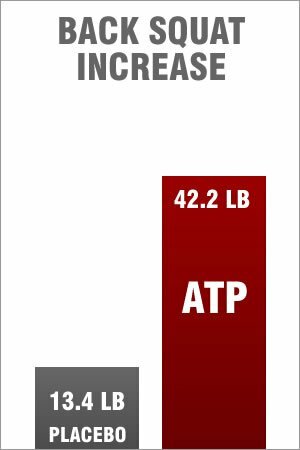 Oral ATP increased Wingate Power 1.36X MORE EFFECTIVELY than the placebo. 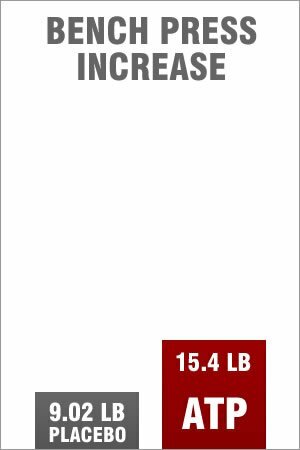 Oral ATP increased Vertical Jump Power 1.3X MORE EFFECTIVELY than the placebo. The oral ATP used in this study is the same Patented form of ATP used in ATP Extreme at the exact same daily dose of 400 mg.
During the study, all 21 participants completed a 12 week intensive resistance-training program that involved an over-training protocol during weeks 9 and 10. All participants were resistance-trained athletes and were required to maintain a strict diet of 25% protein, 50% carbs and 25% fats throughout the 12 week period. 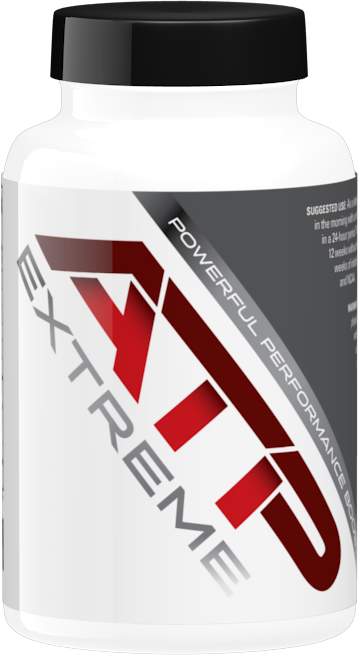 With ATP Extreme, you can now get the same MUSCLE BUILDING and STRENGTH gains in HALF THE TIME without stimulants or any Health Risks. If you are a SERIOUS Athlete with SERIOUS Goals or in a sport where strength and muscle impact your success, you’d be CRAZY not to use it!